For your personal enjoyment. I cover several topics on Natural Hitting at the Professional level, and why I believe rehearsing with natural everyday movements to develop the mind/body feel to elite hitting. My thoughts on hitting coaches and the world of technology, also timing indicators™. 540 am in NY NJ CT and streaming on www.sportstalknylive.com at 7pm Sundays. 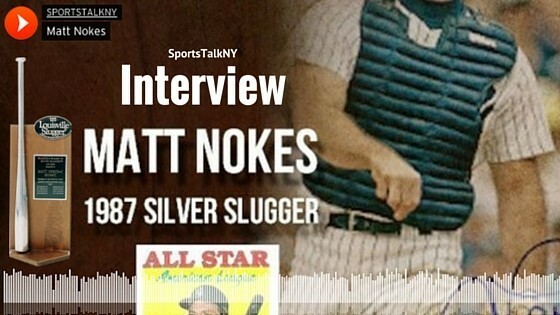 Matt Nokes played eleven seasons in the Majors for the San Francisco Giants the Detroit Tigers New York Yankees the Baltimore Orioles, and the Colorado Rockies . Besides being a catcher He also had played first base, third base, and left and right fields.In his rookie year, he hit .289, with 32 home runs, (at the time a record for a rookie Catcher).He currently owns an instructional consultation practice for serious hitters. He Joins Mark and AJ to talk about the art of hitting. Silver Slugger Award Winner/ All Star Catcher.